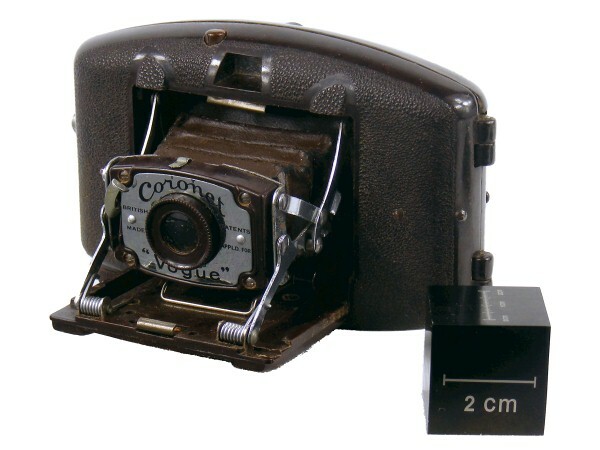 Construction: Small horizontal self-erecting folding camera; body moulded in bakelite. 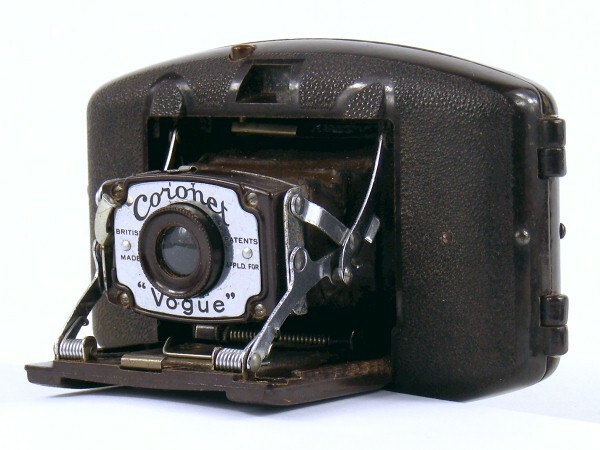 The Coronet Vogue is a small horizontal format folding camera made in brown Bakelite. 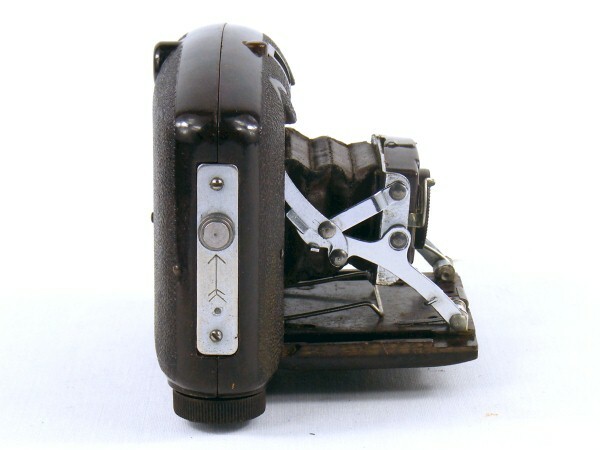 This example is in good condition, with no obvious damage to the Bakelite. 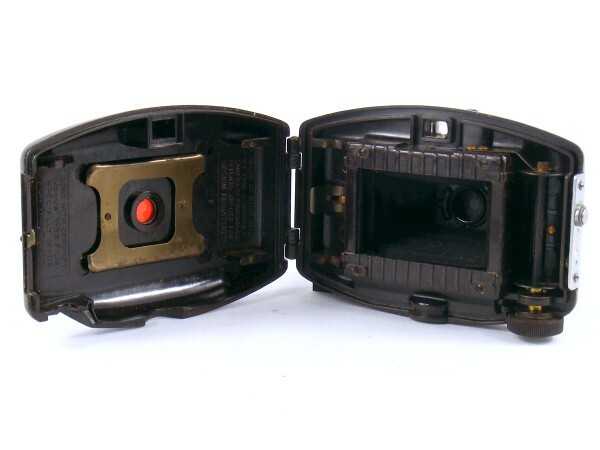 The bellows are in fair condition but have corner wear and may not be light tight. 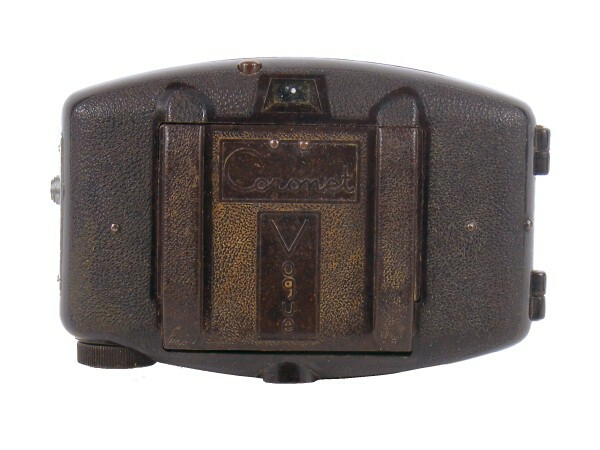 The camera came with a set of Coronet portrait and colour filters in small brown case. 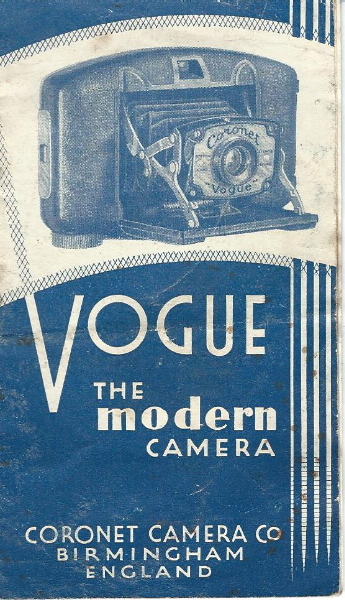 The camera is complete with its original instructions with blue artwork and advertising within, including pricing for the portrait & colour filter. 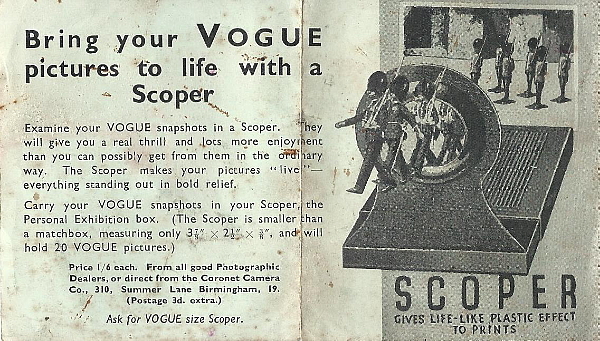 There is also a separate single sheet leaflet advertising the Coronet Scoper - "Bring your VOGUE pictures to life with a Scoper", a viewer for the prints. 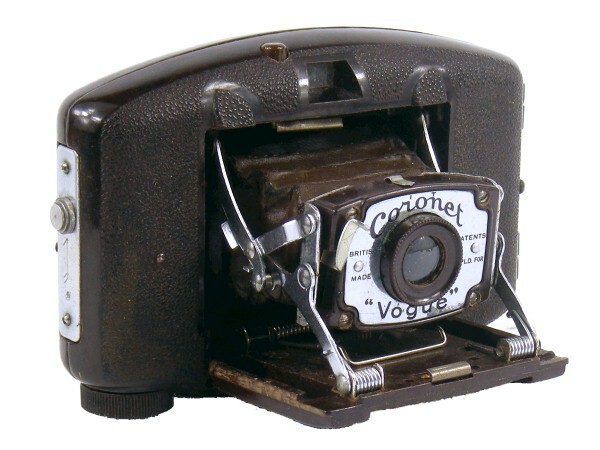 Examples of the Coronet Vogue camera are not too hard to find, with perhaps 10 examples turning up each year. 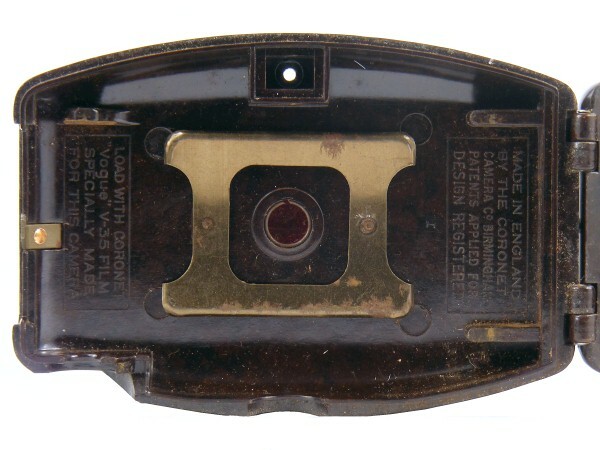 However, watch out for damage to the Bakelite and to the mechanism, as the supports that automatically open up the bellows to position the lens are very strongly sprung and I have seen several examples where the hinge pins have been broken and/or the bellows damaged. 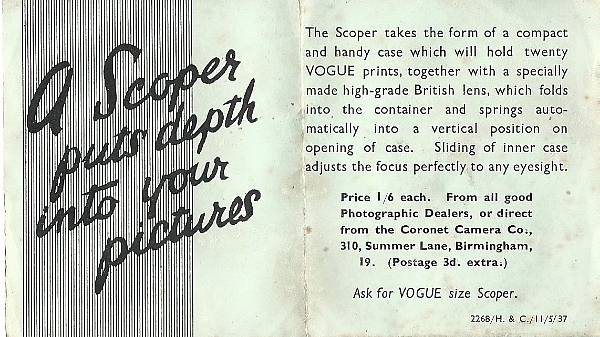 Very occasionally, these cameras turn up with their original packaging and then command a price that is probably double that of the camera alone. 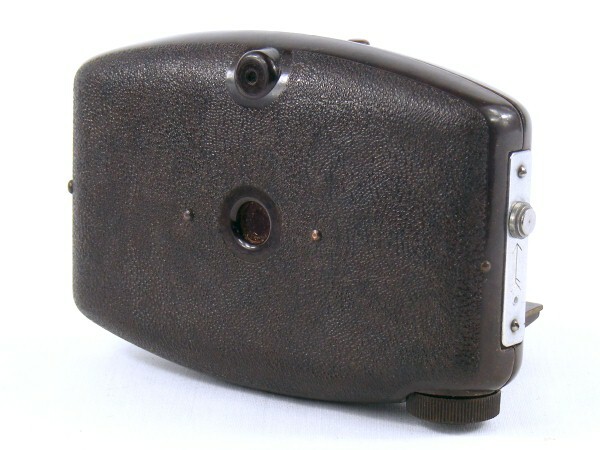 Other examples of Bakelite cameras include the APM Rajar No 6, Kodak No 2 Hawkette and Soho Cadet.